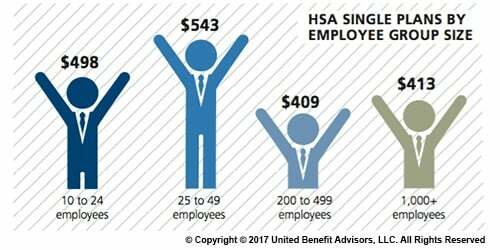 Looking at contributions by group size, singles at companies with 200 to 499 employees receive the lowest HSA contributions ($409). Singles at some of the smallest companies (25 to 49 employees) receive the most generous contributions ($543), on average. Like their single counterparts, families get more generous contributions from small employers. The average family HSA contribution in groups with 25 to 49 employees was $908 (though, in general, small employer contributions have been declining over time). Last year, some of the smallest companies (10 to 24 employees) had the highest HSA enrollment (16.3 percent). 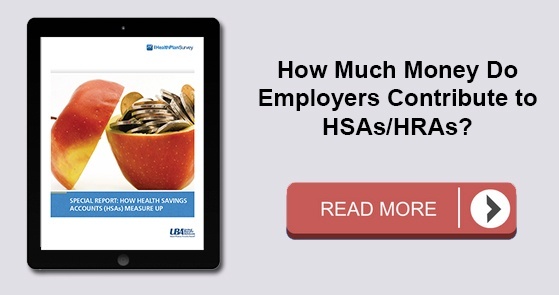 However, rapid enrollment increases among large employers in recent years now places the largest companies (1,000+ employees) as HSA enrollment leaders with 19.1 percent enrolled. For a detailed look at the prevalence and enrollment rates among HSA and HRA plans by industry and region, view UBA’s "Special Report: How Health Savings Accounts Measure Up", to understand which aspects of these accounts are most successful, and least successful. Benchmarking your health plan with peers of a similar size, industry and/or geography makes a big difference in determining if your plan is competitive. To compare your exact plan with your peers, request a custom benchmarking report.